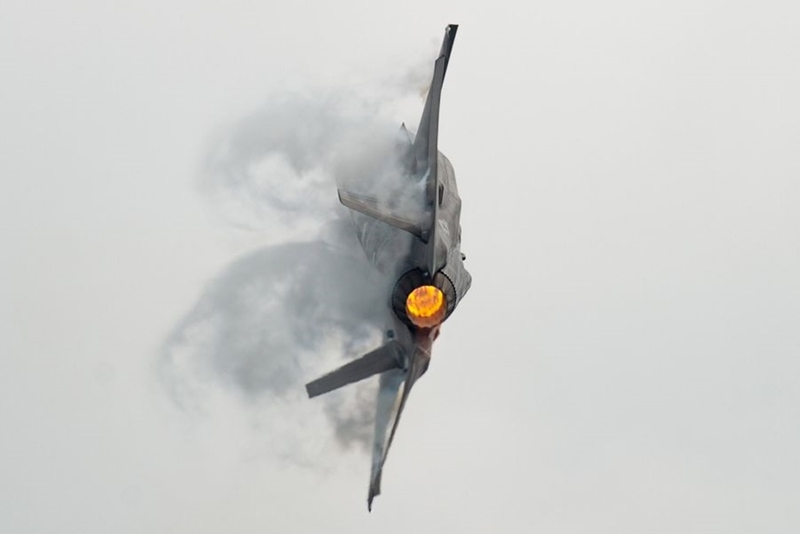 USAF F-35A Demo Team performs the best display ever. The crowd rarely said "wow" during the flying displays of the F-35, as the maneuvers performed by the fifth generation aircraft have always been basic and have disappointed the high expectations of the audience. During the first public appearances, the modern aircraft has always exhibited powerful fly-bys, but never exciting acrobatics. In 2017, a Lockheed Martin test pilot made the first F-35A demo during the Paris Air Show, but it was far from the "F-22-style-display" declared in the previous days. "Where is the carrier boost? And the high angle of attack? ", Many observers said. The answer was provided by a recent video published by a spotter on youtube. The F-35A Team Demo was established in December 2018 when the USAF announced the evolution of the previous F-35 HF demo. The new demonstration pilot, Captain Andrew "Dojo" Olson, immediately demonstrated that the plane is capable of doing much more. Many analysts continue to declare that the jet can only be employed to cover the attack or CAS roles because it is would not be able to deal a dogfight, but according to the video, the F-35 can be an excellent fighter. Although some nations such as Italy and the UK have introduced the F-35 to replace the Tornado fleet, it has been designed to be multi-role and also cover the air defense role. The footage tests the capabilites of the aircraft, but also the progress of the program. The performance in Paris was mainly organized to appease critics in the wake of previous problems related to engines and aircraft systems, while the recent demo showed a mature platform. The sequence of maneuvers carried out by Olson has never been performed by a Lightening II, he approaches from the right, performs a vertical pitch-up and a square loop in a narrow circuit. Then the jet starts a flat spiral that goes down almost at zero speed with a full 360° rotation (Watch the video below from 9:45 to 10:30). The F-35A Demo Team will begin its acrobatic season from next March, if you want to enjoy its amazing performance live, see its airshow schedule 2019 here.